Despite the success of the John Lennon/George Harrison pairing on Lennon's 1971 Imagine album, the two former Beatles never recorded together again — except for one other time. On March 13, 1973, Lennon, Harrison and Ringo Starr recorded “I’m the Greatest” — a song Lennon started writing in late 1970 but eventually handed off to Starr — at Sunset Sound Recorders in Los Angeles. 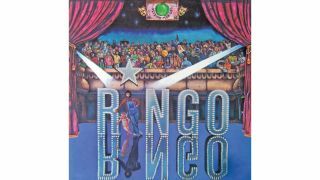 The song, the opening track on Starr’s hit 1973 album, Ringo, also features “Fifth Beatle” Billy Preston on electric piano, making it tantalizingly close to a "just before the breakup"-era Beatles song. Preston played on the Beatles’ final albums, Abbey Road and Let It Be, and even performed with the band at their January 30, 1969, rooftop show. Instead of Paul McCartney, however, "I'm the Greatest" features Beatle buddy Klaus Voormann on bass. Paul appears elsewhere on Ringo, making it the only solo-Beatles studio album to feature John, Paul, George and Ringo. "I'm the Greatest" also features a clever Beatles reference in the lyrics. At 1:44, Ringo sings, Yes, my name is Billy Shears / You know it has been for so many years. Billy Shears was Ringo's alter ego on the Beatles' Sgt. Pepper's Lonely Hearts Club Band, as heard at the moment that album's title track segues into "With a Little Help from My Friends," which Ringo sings. You can check out "I'm the Greatest" below. The March 13, 1973, basic-tracks session marked the first time Lennon, Harrison and Starr had recorded together since the Beatles' breakup. Actually, only Starr and Lennon were expected to turn up at the studio that day. When Harrison — who just happened to be in Los Angeles that day — got wind of the session, he called Starr's producer, Richard Perry, to ask if he could join the gang. Lennon reportedly replied, "Hell yes ... Tell him to get down here right away and help me finish this bridge." We don't know if Harrison actually contributed lyrics to the tune, but he definitely turned in a catchy, shimmering Beatles-esque guitar phrase (first heard at the 0:15 mark) that sounds like it was flown in from the Abbey Road sessions. When the press got wind of the "I'm the Greatest" session and personnel, they thought it signaled the arrival of a new “Beatles replacement” band called the Ladders. Sadly, it didn’t, and this combo was never heard from again. If you can handle a few more near-Beatles experiences, be sure to check out “Sour Milk Sea,” a Harrison-penned Jackie Lomax single from 1968 that features Harrison, McCartney and Starr, plus Eric Clapton and keyboardist Nicky Hopkins (both of whom played on Beatles recordings that year). "All Those Years Ago" — a 1981 Harrison track written in honor of Lennon, who had been killed the previous December — features Harrison (vocals, guitar, keyboards), Starr (drums) and McCartney (backing vocals). But probably the closest thing to a Beatles reunion took place in the mid Nineties, when McCartney, Harrison and Starr added their respective parts to two unfinished Lennon recordings, "Free As a Bird" and "Real Love." You can read more about that here.